The neoconservatives are screaming, but the world is probably actually safer under a deal that removes potential excuses for the West to attack Iran. While Iran is an iron-fisted regime within its own borders, holds significant military power, and wields influence in the wars raging just beyond its borders, it is has also proven itself very reluctant to physically attack other nations. It provides, as odd as some of us may find it, a beacon of stability in a region torn by US-funded wars. 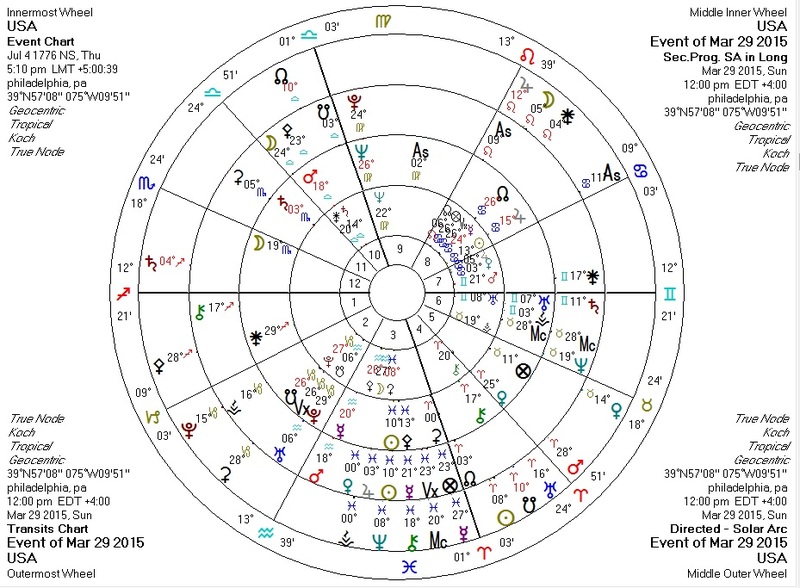 Astrologically, Pallas rules intelligence and logic (I provide about a hundred charts in evidence in my NCGR talk). Logic is, in a manner of speaking, decision-making through reason and not force. This is why Pallas rules peace and libertarianism. Part of the massive body of evidence for this latter assertion on this blog and associated web pages is the fact that whenever peace agreements are signed, Pallas is always reinforced by transit and/or progression by the Sun, Mercury, the North Node, and/or Pallas herself. 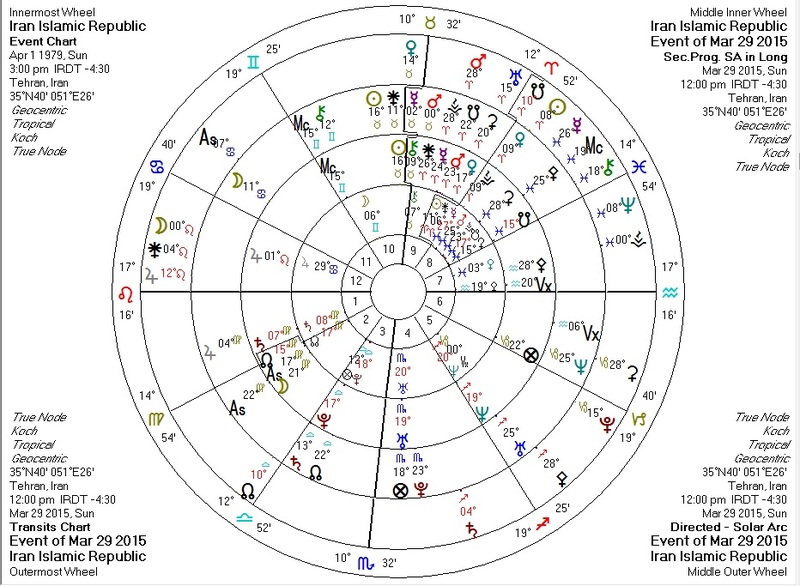 To illustrate, we have charts for Iran, the USA, and Barack Obama for today. Transiting Pallas septile Iran Pallas, sextile progressed Pallas, and square solar arc Pallas. Transiting Pallas sextile USA Pallas; transiting Mercury quincunx solar arc Pallas; transiting Sun novile USA Pallas and quindecile solar arc Pallas. 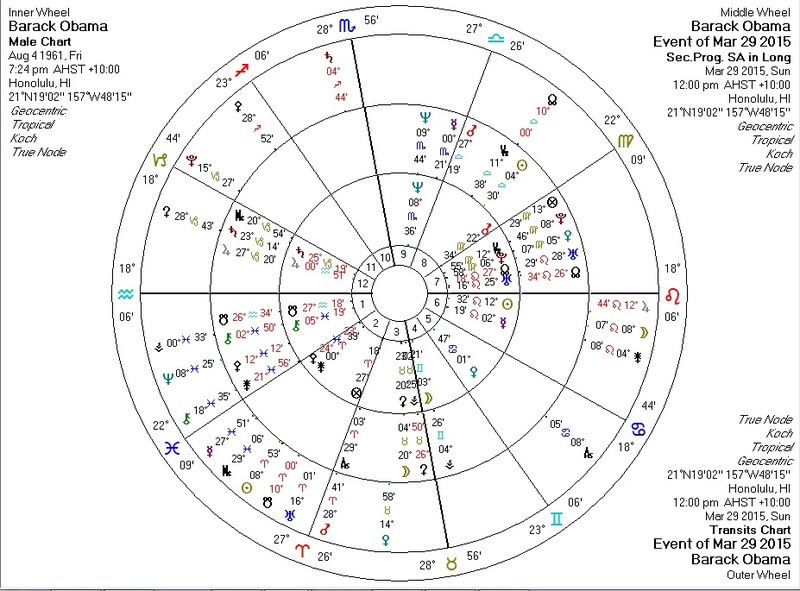 Transiting Pallas square Obama Pallas and quintile progressed Pallas; transiting Mercury conjunct Obama Pallas. Mercury (and with it the Sun) is trine Pallas today, and the world is a better place for it. Credit where credit is due: whereas Obama has been extremely belligerent and destructive for most of his reign, and continues to quietly attack American freedoms, he has recently also been at the helm for constructive movements towards peace including this treaty, the thwarted Syria invasion (though this was more of Putin's doing than Obama's), and the normalization of relations with Cuba.